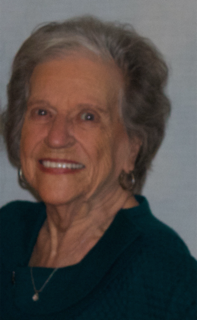 Ethel Jean Brossett, age 80 of Winnsboro, passed away on Wednesday, August 16th, 2017 in Winnsboro. She was born on August 15th, 1937 in Shreveport to the late John Fredieu and Lena Lonadier Fredieu. She was a retired s secretary and a member of St. Ann’s Catholic Church. Jean loved to play bingo and was a member of the VFW ladies auxiliary. She married Donald Brossett on May 25, 1955 and he preceded her in death on September 17, 2015. She is survived by her son, Wesley John Shane Brossett of Groesbeck and his wife Marisa Beth; daughters, Tina Christine Satterwhite of Winnsboro and her husband Wade, Peggy Jean Brossett of Alabama and her partner Richey Turner; 7 grandchildren, Christopher Shane Attaway and wife Bailee, Allayna Peckham, Dillon Satterwhite and wife Morgan, Carlee “CJ” Holland and husband Casey, Christy Lee and husband Sean, Brandon Brossett and wife Danita, Chamberti Brossett and 15 great grandchildren. Visitation will be held on Thursday, August 17th, 2017 from 6:00 pm to 8:00 am at Beaty Funeral Home-Winnsboro 816 W. Broadway Winnsboro, TX 75494. A Rosary will begin at 6:00 PM. Funeral Services will be held on Friday, August 18th, 2017 at St. Ann’s Catholic Church 1010 W. FM 515 Winnsboro, TX 75494 at 2:00 pm, Father Mani Mathai conducting, interment will follow at St. Ann’s Catholic Cemetery in Winnsboro, with Wade Satterwhite, Dillon Satterwhite, Chris Attaway, Brandon Brossett, Richie Turner, Sean Lee serving as pallbearers.